Here’s the tough-to-write blog post that Zynga CEO Mark Pincus just put up and also sent to the San Francisco gaming giant’s staff. The company just announced layoffs of 18 percent of the company and also lowered its second-quarter guidance. Indeed, the fall has been fast and hard for Zynga, as it struggles to cope with a massive consumer migration to mobile that happened faster than its management — or, to be fair, anyone in the Internet business — could cope with. Until now, its fast growth has been based on its Web business and flagship franchises such as FarmVille. But, as several sources noted and Pincus addressed in this note, Zynga must now get smaller again to get larger, doing little things really well rather than a lot of things at scale. “The scale that served us so well in building and delivering the leading social gaming service on the Web is now making it hard to successfully lead across mobile and multiplatform, which is where social games are going to be played,” he wrote. Zynga had made smaller cuts of five percent last fall, but the fall-off of its Web business — especially on the Facebook platform — was faster than anticipated, sources said. That business has, as one person close to the situation noted, been “brittle,” and it broke more easily than expected. That is not to say there has not been some promise, in games such as Running With Friends and even at its flagship FarmVille, which is still a strong title. 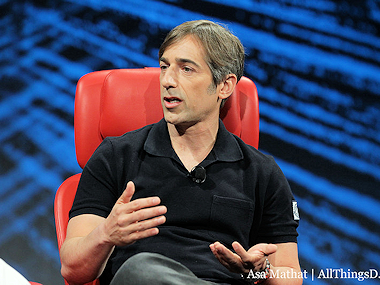 And Zynga now has 65 million mobile users. Pincus had been signaling more changes to come of late, trying to keep the company cash-flow positive, as he sought to rationalize costs. In the company’s last earnings call, he stressed that 2013 would be “transitional” for Zynga and has rejiggered its top management to better focus the efforts on mobile. Still, it is not a pretty day for Pincus, or for the staff of Zynga, showing a lot of hard-charging entrepreneurs in Silicon Valley the very steep downside of being a public company CEO in a tough and fast-changing environment.